« 95 Cathy Song - I fought for 18 years.. There are moments in recent history that affect you enough to remember where you were and what you were doing at the time you heard about it. I register that Kennedy’s assassination was the first for me—my parents discussed it in a “so what happens now?” sort of way. I suspect that, for my parents, both ends of WWII apply (but see below² about that), maybe the deaths of Churchill, Macmillan, George VI—but they said themselves of the deaths that, because they were not exactly surprises, they didn’t pass into the ‘What were you doing when..’ class. Here’s a list of memorable dates to which you may relate. Dates are in ‘standard European’ format³, properly ISO 8601, or almost so. I put them in order, oldest first. The Wall Street Crash 19291029 [New York, obviously?] began with Black Thursday Oct 24 and ran to Black Tuesday on 29th. My father was two. Hiroshima Bomb, 19450806 08:15 local, followed by Nagasaki⁵ 19450809 11:00 local and VJ day 19450815. 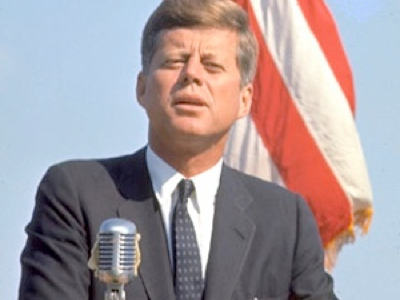 Kennedy’s assassination, 19631122:18:30 (12:30 in Dallas, Texas). I was ten; I registered the effect on my parents above; we had a tv (but had not had one long) and moved from the radio news to the tv coverage; I remember thinking “So that’s what being shot looks like” and that it was not like in the tv westerns; that the shot resulted in some strange reaction that looked perhaps survivable and that we, the family, all thought much the same. That also says quite a lot about family life—we discussed it, not just us kids listening to the parents’ reaction. Neil Armstrong on the Moon, 19690720 (I didn’t need to look that one up, but wikipedia says I’m wrong, and that it was 19690721:02:56 UTC⁴). Note that Armstrong died this year (Aug 25th). My lasting memory of the tv coverage is that the simulations were of far better quality (and at the time more believable) than the purportedly real thing. Example question: If he is the first person to step on the moon, who put the camera in place? This is special to this list because it is not a disaster. Munich Olympics 19720905 (I knew it was 1972 ‘cos I recently watched the Daniel Craig film Munich (and it was awful). For some people this marks the ‘start’ of terrorism. This is an incomplete description so you should go find out what happened for yourself. John Lennon’s murder (significant to my far younger—or far less old—other half), on (looked it up, no idea, not even the right decade) 19801208 23:00 (local, so be date careful if using UTC)—this can’t be a proper “What were you doing?” for Europeans, because they were asleep, but Chinese would have been wide awake and news aware. His murderer (I’m not giving him fame by recognising his name) is still denied parole, I saw recently. An area of Central Park was named Strawberry Fields in 1985. 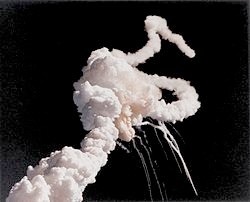 Space Shuttle Challenger disaster, 19860128 16:38Z. I had been teaching and, like the 911 event, was at school and in the SCR when the story hit the tv. Not to be confused with the Columbia disaster, 20030201, nor with Apollo 13 (not just a film, but real), 19700411-7, nor Apollo 1, 19670127. Kings Cross fire 19871118—31people died, from a fire deep down in King’s Cross St Pancras on and under an escalator serving the Piccadilly⁶ line. As a result the Underground system became rigidly non-smoking and the wooden escalators have been replaced by steel. The technically curious should read up on fire-driven fluid flow, unknown until then; there’s a future in technical safety for some engineers. PanAm Flight 103, called ‘the Lockerbie bombing’ in Britain, 19881221. The Berlin Wall came down 19891109 and the subsequent few weeks. The wall went up in the 1960s. LIke the moonwalk, not a disaster, so special. The Twin Towers, or the World Trade Center, called “911”, 20010911. It was a Tuesday (morning in the US, 08:46 and 09:03 local (UTC-4) when the WTC was hit), so it was 5 hours later in the UK, around 14:00. By the end of school a group of staff had discovered the news and moved a tv into the Common Room so that the gap between lessons and Tuesday activities was filled with staff crowding to share the event, mostly with our mouths open. I think quite a few of us saw the south tower collapse live at 15:00. London Tube bombings 20050707 08:50, called 7/7, a series of co-ordinated attacks on three trains and one bus (an hour later), all in London, the day after we heard that London was to host the Olympics. A minute’s silence was observed in the Opening Ceremony in 2012.⁸ My brother was nearby in time and position that day, passing through what was to become an attack site some few minutes before an explosion occurred. Osama bin Laden killed 20110502—should this be on the list? It surely depends on your point of view. An older friend of mine has several times referred to the Hindenberg disaster 19370506, which must be one of the earliest examples of a disaster captured on video (a different medium then). Look it up for yourself; it’s even on youtube. Note that just two of the list above are not death and disaster: the first man on the Moon and the removal of the Berlin Wall. 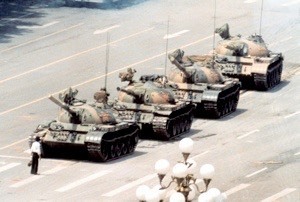 Re-reading this list in 2013, I’d like to add the moment captured by a singular picture of a civilian stood in front of a tank in or near to Tiananmen Square 19890604. wikipedia. The internet here won’t let me load that right now; it is on youtube—I can see the reference on wikipedia. Google the location and ‘protests’. I can’t imagine why the inanimate Square would protest (not true, some of the architecture is execrable). However, the guy pictured was disappeared with prejudice, probably pretty immediately, so it was and was not a disaster. There may be a whole load of sporting moments, but they’re more defined by age and “what were you doing..” doesn’t apply—“Did you watch the Olympics?” is the equivalent, followed by an age-defined answer as to which Olympics you might have been able to watch. I’m telling you that 1964 (Tokyo) was the first I could have seen, because we didn’t have a tv in 1960: earlier than that and you had to be there or use the radio or wait for the newspaper. Actually going to a sporting event was relatively difficult and no doubt there are many great sporting moments simply lost to history. That amazing long jump in Mexico 19681018, Bob Beamon setting a new world record of 8.90, the world’s first 29 foot jump, breaking the old record by nearly two feet. I was in bed asleep (and the video recorder was not invented) in 1968. It was a long time before the first 28 foot jump occurred—I think that’s Carl Lewis, 19810620 (not quite, see ⁹ ), and the 1968 record fell almost 23 years later, to Mike Powell in 1991. At the time of writing, only Lewis, Powell and Beamon have passed 29 feet. See the book, The Perfect Jump; see video (youtube link above) of it if you can. Jesse Owens held the long jump record for a similar time, from 1935 to 1960. Not unrelated, Jesse Owens at the Berlin Olympics, 1936 was a special event, largely because of the social climate in Germany at the time. 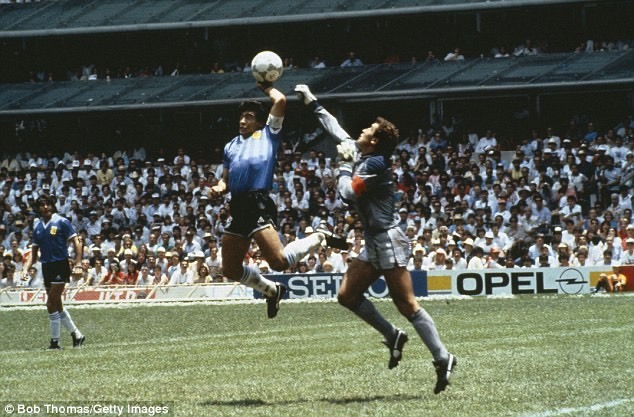 Diego Maradona’s ‘Hand of God’, 1986 World Cup, England v Argentina, followed by the Goal of the Century, in the same match. Not in the same league, the 1966 goals that finished the World Cup, “They Think It’s all over.... it is, now” has passed into British English as a quote and a tv show. I’m biased towards Athletics (Track & Field in American). Seb Coe’s 800 metres in Florence when he took the world record down to 1:41.73 1981-97—and his golden 41 days in 1979, breaking three world records [Oslo, 800m, 1:42.33; and the mile 3:48.95 and then Zurich, 1500m, 3:32.03]. No-one else has been rated No1 at the three distances in the same year. Coe held these three and the 1000m briefly, just before Steve Ovett broke the mile record (only just). Edit 2018: That last statement might be erroneous: Steve Cram matched Coe’s 41 days with a 19 day period in which he too broke three world records; the 1500, Mile and 2000m. Similar world records: the 19.72 200m of Pietro Mennea [1979, Mexico, lasting until Michael Johnson broke it in 1996]. Jarmila Kratochvilova followed by Marita Koch, in the 400m are the only two women to go below 48 seconds, still —but both have been loudly accused of undetected drug abuse; the case against the Eat German Koch is strong, but not so much against the Czech. Kratochvoliva’s 1983 800m record [1:53.28] still stands in 2017, making it the longest lasting track record. If you have been [present for any world record—and I have—you realise that each is a special moment. It is a pity the pre-82 recordings are so very poor. The first unanimous 10.0 in gymnastics or in ice skating? Red Rum winning again at Aintree? I wonder if an effect of television (visual media) is that we can see Great Sporting Moments later, if we can be bothered. I am reminded of a tennis match shown when Wimbledon was off because of rain; one of the (many) great matches was shown, such as MacEnroe vs Connors, and comment was made at the viewing figures staying high—clearly a gripping match, however dated. Wars and their dates don’t fit the title of this page, but are worth discussion, since they do characterise the memory of a nation and of individuals. Footnote 2 shows the confusion over WWII, and I record here an incomplete list of wars. What constitutes any label of recognition is a confused one and with which you are encouraged to disagree—we have what our local press tells us, coloured by how they tell us and how our country is involved. I used wikipedia to find the subsequent additions. Suez 1956, often called the Suez Crisis; Egypt vs UK, France & Israel. These three were forced to back off by Russia, USA and the UN. The canal was closed until April 1957 and was the principal issue, precipitated by Nasser deciding to nationalise the canal. Worth reading up; well documented. One might argue that this demonstrated how weak Britain had become and that it marks the end of the Empire. Challenge: disagree with that. Vietnam (Indochina 1956-75, maybe from 1955) spread to Laos from ’59 and Cambodia from ’67. There was more war 1977-91 in Cambodia and between Vietnam and China in Feb/Mar 1979, continuing intermittently to 1988. Previous fighting 1946-54 included France. US escalation took place in early 60s (Kennedy), combat units in ’65 (Johnson, 63-9), peace accords ’73 (Nixon, 69-74), but fighting continued, ending with the capture of Saigon in 1975 and the reunification of Vietnam in 1976. Six-day war, 1967, Israel vs the rest. Also 1948/9. Warsaw pact invasion of Czechia 1968 (USSR, East Ger, Poland & Hungary broke down a reformist government). A scary time in Britain. Falklands (Britain & Argentina) 1982. Also scary, but differently so. Grenada 1983. The US invaded Grenada in 1983. Grenada won independence from UK in 1974. A coup in 1983 resulted in US action criticised by its usual supporters (UK & Canada, significantly) and democracy was restored in 1984. Interesting detail is available, such as interaction between Thatcher and Reagan. Gulf War 1990/1 This is the one set off by the invasion of Kuwait, that includes Desert Storm, against Iraq after it invaded Kuwait. Should not be confused with the 2003 Iraq war (occupation by US & UK of Iraq ended Dec 2011); this latter event is the one characterised by ‘WMD’ and the search for these. Spanish Civil War 1936-39. Franco; support from Italy and Germany—and pre revolution Portugal and, quietly, from Britain. Mexico supported the Republicans, with France sympathetic. Result was dictatorship. Essay question: why was Spain a non-belligerent in WWII? Turkish war of independence, 1919-22 (and with Greece, 1921-2). Russian Civil war, 1917-22, a little confused by me with war with Poland in 1919-21. Second Kashmir war 1965. Previous one was 1947/8. Bengali war of independence 1971 onwards. Continued rumblings between Thailand and Laos, along India’s borders and China’s borders. Afghan civil war 1978-present, including Soviet invasion ’79-89. 3rd Balkan war 1991-’01 wars over the breakup of Yugoslavia. Previous wars 1912&13 generally said to have set off WWI. Second Chechen war, 1999. Long series of these—1817-64, 1940-4, 1994-6 and 1999-’09. Similarly, and following on from other discussions, 1949-51 was special in that many countries gained independence in the aftermath of WWII. 1947 India, 1948 Malaya (and ’57); China 1949; Israel 1949; 1951 Libya; 1955 end of occupation of Germany. The dis-integration of the USSR took place after Brezhnev (late ’82) and most change occurred under Gorbachev (Chernobyl disaster 1986 missing above), with the dissolution of the USSR mostly occurring in 1990/1. The collapse of the British Empire began with Suez and continued, with independence given from then and through the 80s (a lot of Africa gained independence then). Replaced by the Commonwealth, which needs to rediscover some teeth—or independence from Britain, which is rather swamped by Europe and European leanings. One wonders if Britain’s attitude is that the countries it ran in Victorian times have grown up and been given independence, while Britain needs what it can gain from the European adventure. 1 World dates—dates ‘the world’ knows. Doesn’t work, as it is restricted to who reads what. Famous disasters—they’re mainly disasters, because it is the unexpectedness which turns these things to the “What were you doing when..” moment. Notable among this list, then, Is Neil Armstrong’s moment. 2 WW11 began in 1939 if you’re European, 19390901 when Germany invaded Poland, or on the 3rd when Britain & France declared war. If you’re American then Pearl Harbor, 19411207; if you’re Ethiopian, 1936 with Italy’s invasion; if Russian, then 194106 or if you’re Chinese, then 19310919 with the invasion of Manchuria by Japan [disagreement in China, where the remembered date is 18th], or 19370707 with the start of the second Sino-Japanese war. 3 Standard European format, what Wikipedia calls Gregorian big-endian, year-month-day. 20120911 is in line with ISO 8601. and so is 2012-09-11. When adding a time it is assumed local unless a Z for Zulu is added; I am using the hh:mm convention to help spot when time is used (I believe in a surplus of information as contextual affirmation), and I have changed what I wrote originally to exclude the T, so Neil Armstrong stepped onto the Moon at 19690721T0256Z, but I’ve written 19690721 02:56. I think this is slightly more readable. 4 UTC (coordinated universal time, from 1972) = GMT (Greenwich mean time, from 1904) = Zulu time, universal time, world time. UK is at zero, China is +8, Central Standard time is -6. China has one time zone. the US has seven (Trivial Pursuit answer): in the winter, standard times are: Atlantic -4; Eastern -5; Central -6; Mountain -7; Pacific -8; Alaskan -9; Hawai’ian -10. Labels are EST, CST, MST, PST and, I guess, AST and HST, so noon in London is 20:00 in China, 08:00 in New York, 05:00 in Colorado and 02:00 in Honolulu. Second Trivial Pursuit answer: China spans five time zones, diagram shows (wikipedia again) system 1912-1949. Summer time ran 1935-1962, but “in parts of China”. Xinjiang locally runs at Urumqi time, UTC+6, but this is not official, just common practice. Crossing to India/Nepal is UTC+05:30, but there is a small border with Afghanistan called the Wakhan corridor, UTC+04:30 so 3 1/2 hours different—that’s “jet lag by foot”, perhaps. See. the place is at the top of the Wakhjir Pass, close to 5000m up. This place lends new meaning to ‘remote’. The pass is one of the Silk Roads—I thought there was only one—and lies at the junction of the Hindu Kush with the Karakoram and the Pamir mountains. The border is basically closed. There’s enough material available for another weblog entry, No 97. 5 Kokura was the intended target but was obscured by cloud. Another Trivial Pursuit or pub quiz answer. 6 Picadilly, as I first typed, caused some investigation. A picodilly would be a very small, very remarkable thing, 10-12 size, so maybe an effective element of a nanomite.A picadilly is then a remarkable eating disorder (as if it isn’t that already), or a special magpie (like a pet one, favoured for storybook magicians)Dilly—US/UK slang, a remarkable thing, Dill is an aromatic pot herb with thread-like leavesPica—(i) a printer’s unit, 12 points, ten characters to the inch, a sixth of an inch. 7 I think I must have missed a day at least and I remember that the others on the course remained unaware as we left Froebel College, Roehampton just down the road from Rosslyn Park and opposite Queen Mary’s Hospital. Now you really wanted to know that. Also discovered that week that I’d travelled 5 miles further from Bodmin than a fellow-student who’d come from within a mile of where I grew up in Newcastle—England is as ‘wide’ as it is ‘long’, not understood by many. London —Bodmin 212 (250 to drive it); London—Newcastle Gosforth 250 and very similar to drive, the 255 recorded. London—Berwick 490 miles, to Land’s End 425, Land’s End to: Deal (Kent) 520 miles, Berwick 680 miles. These all as the crow flies, not the driving distance. Yes, I put the apostrophe correctly. It is not Lands’ End; that’s on Facebook. Or it’s selling clothes. 8 A flag at half-mast is actually positioned one flag’s depth downwards, not half way up/down the pole. ..more in Essay No 99. PPI—Yes, there really are 72 typographical points per inch and that’s also a Macintosh / Apple issue of history. We have moved on to DPI, dots per inch and PPI, pixels per inch. In the 80s, Apple set 72PPI and Microsoft set 96. Apple’s version lasted because there were 72 pixels per inch on the screen, hence WYSWYG. Please read Wikipedia, “dots per Inch”. Pixels per inch (pixel density is a far better term) or dots per centimetre, is a measure of screen clarity (also, sensor precision, scanner precision (as in cameras) and there is confusion when we compare length with area. A megapixel camera tells you the file size (intelligently, you don’t really want the MP/cm2 without knowing the sensor size). However, watch out for ‘number of dots’ which is misleading, at three dots per pixel [red, green and blue]. The new (2012) ‘retina’ screen of the iPad 3 has a resolution of 264 pixels per inch and of the iPhone 4S as 326; whether you see this as pixelated depends how far away your eye is, so the definition is to do with single pixel visual angle (maths problems to write) and around 1 arc-minute is what they aim at. The limit of the eye is 457 pixels at 12 inches, but that is ‘perfect’ eyesight. `See. 9 28 foot jumps: 16 people have achieved this unaided by wind, 114 officially recorded jumps, ten of which are indoors. I saw an 8m jump live in ZhaoQing and C&I were the only excited members of the crowd; the only other excited person was the jumper himself. How many 8m jumpers are there in China? I can’t find out. 10 Challenge: without looking at a map, which of DR Congo, Liberia, Niger, Burundi, Somalia and the Central African Republic are neighbours? 800m record Coe 1:41.73 19810610 still stands as British record. Wilson Kipketer held it from 19970707 and then David Rashida from 20100822, currently at 1:40.91. Only Rashida and Kipketer have been faster, so this record lasted 16 years. 1500m record to Coe 3:32.03 19790815 taken by Ovett 1980 and 19830904 and Cram 3:29.67 19850716 broken next on 19920906. British record now held by Mo Farah, at 3:28.81 20130719. Farah holds almost all British track records from 3km to 10km, and on the road almost everything from 8km to the marathon. Mile record 19790717 Coe 3:48.95, then Ovett, Coe, Ovett, Coe and Cram 19850727 which lasted until 19930905 but still stands as British record, 11th on the all-time list, 4th runner. 2000m record Cram 4:51.39 19850804 still stands as British record. WR 4:44.79 El Guerrouj 19990907 See here. 3000m currently held by Mo Farah, 7:32.62, 20160605 breaking that of Dave Moorcroft 7:32.79 19820717 - from Brendan Foster.7:35.1 19740803 WR 7:20.67 19960901 Daniel Komen. Farah’s time lists as 185th on the all-time lists !!! Moorcroft’s record stood for an amazing 34 years. Answer: DRCongo has a border with Burundi and with the Central African Republic. None of the other have any common border. CAR; DRC, Rep Congo, Cameroon, Chad, Sudan, South Sudan.